Ingrid Boulting photographed by Barry Lategan for Elle (France). Ingrid today at her yoga studio in Ojai. Ingrid as a small child in Transvaal, South Africa. Ingrid Boulting photographed by John d. Green for his book 'Birds of Britain,' 1967. Ingrid (center) with Joanna Lumley (right) in a Coty makeup ad, 1968. Ingrid photographed by Just Jaekin for Vogue UK, July 1968. At home in London on August 22nd, 1968. In 'Kampf um Rom II - Der Verrat', 1969. Ingrid shopping for buttons. Photographed by her dear friend, Berry Berenson, for Vogue, September 15th, 1969. A spread from Vogue, October 15th, 1969. Shot by Richard Avedon. Dancerlike Ingrid photographed by Richard Avedon for Vogue, October 15th, 1969. Another spread from Vogue, October 15th, 1969. Hair by Are Gallant. Ingrid photographed at the Stirling Cooper shop in London by Catherine Milinaire for Vogue, January 1970. 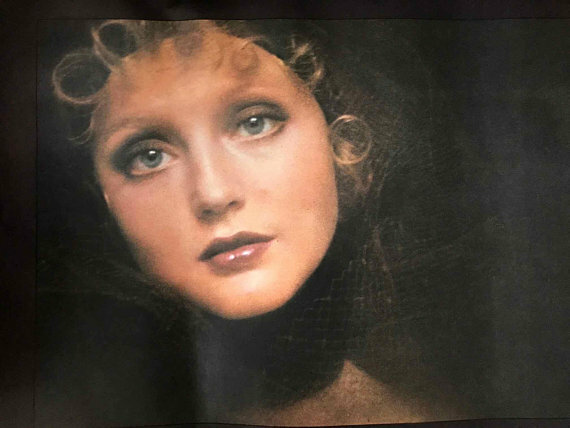 Pre-Raphaelit beauty for Vogue Paris, February 1970. Photo by Alex Chatelain. Ingrid photographed by Richard Avedon for Vogue, March 15, 1970. 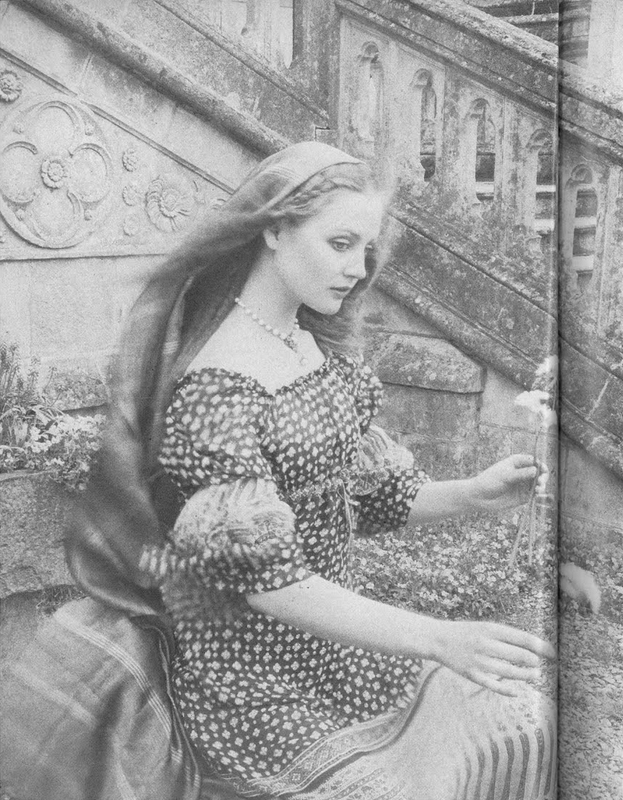 Ingrid Boulting photographed by David Bailey for Vogue UK, June 1971. Ingrid wearing Foale & Tuffin in their boutique. The Daily Telegraph Magazine, July 17th 1970. Photo by Duffy. "Summer at Source" by Norman Parkinson for Vogue UK, July 1970. Wearing a Celia Birtwell print dress by Ossie Clark. "Summer at Source" by Norman Parkinson for Vogue UK, July 1970. Ingrid by Barry Lategan for Vogue UK, September 1970. Ingrid Boulting by Isi Valeris for Vogue UK, October 1970. Ingrid Boulting photographed by David Bailey for Vogue UK, September 1970. Wearing Givenchy couture for Irving Penn. Vogue, September 15, 1970. Ingrid by David Bailey. Vogue, October 15th, 1970. Rainbow eye makeup for Vogue, November 1970. Shot by David Bailey. "The Rainbow Face" photographed by Richard Avedon for Vogue, November 1970. Modeling Biba for Seventeen, January 1971. Photo by Sarah Moon. Modeling in London, c. 1971. Ingrid Boulting photographed by David Bailey in Fiji for Vogue UK, February 1971. Photo by Alen MacWeeney for Mademoiselle, 1971. Ingrid Boulting photographed by Richard Avedon, 1970. Ingrid photographed by Carmen Schiavone for Seventeen, July 1971. Ingrid in a Biba outfit. Photographed by Carmen Schiavone for Seventeen, July 1971. Ad for Christian Dior, c. 1972. Ingrid photographed by Carmen Schiavone for Seventeen, July 1972. Ingrid Boulting on the cover of Seventeen, October 1972. Photographed by Carmen Schiavone. Ingrid Boulting shot by David Bailey for Vogue, March 1973. “Beauty Timing” by Clive Arrowsmith for Vogue UK, April 1973. A sultry look captured by David Bailey for Vogue UK, April 15th, 1973. '70s chic photographed by Barry Lategan for Vogue UK, October 15th, 1974. Ingrid showing off her morning beauty routine in Women's Day, April 1970. Photos by Richard Ballerina. Ingrid Boulting by Gian Paolo Barbieri, 1974. On the cover of Penthouse, August 1974. Ingrid Boulting in an ad for Revlon Europe, with jewelry by Coppolo e Toppo, 1974. Photographed by Gian Paolo Barbieri. 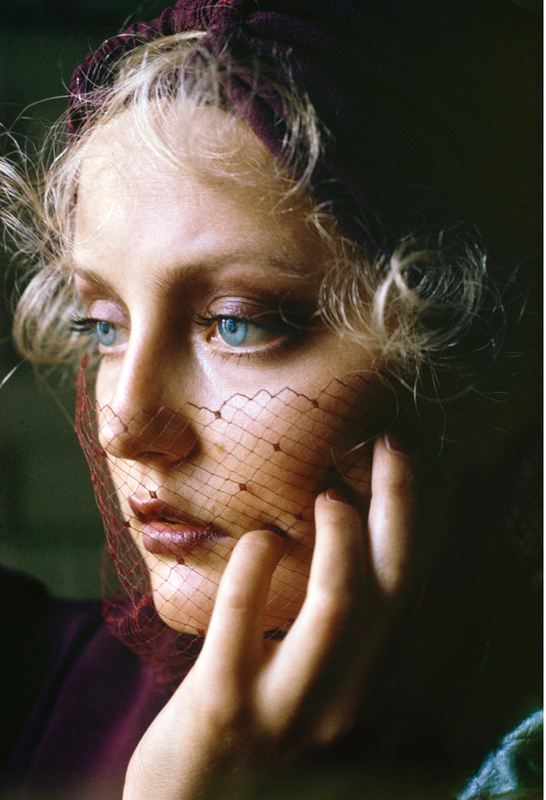 An unpolished photograph of Ingrid Boulting taken for Vogue UK, 1974. Ingrid Boulting in fur for the Sydney Morning Herald, 1975. Photo by David Mist. Ingrid at a YSL perfume launch in NYC. 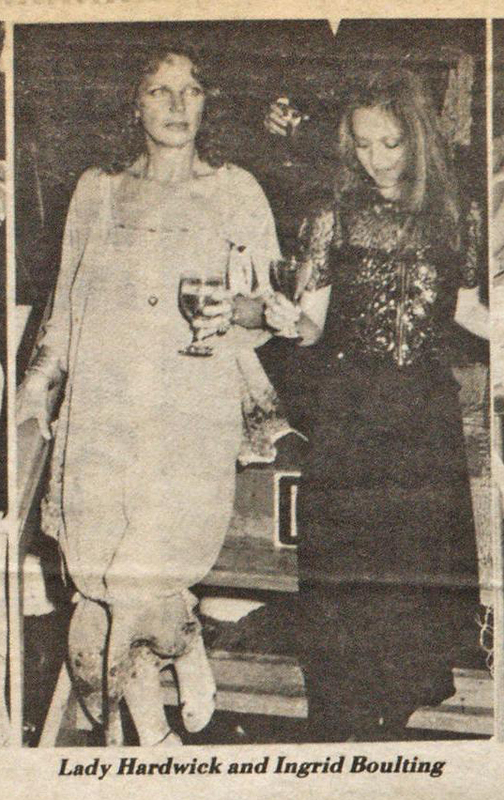 Photo from WWD, September 22nd, 1978. Ingrid's pre-natal yoga routine in Women's Day, May 13th, 1980. Ingrid on the cover of WWD, December 23rd, 1975. Ingrid helping a student into a restorative pose at Sacred Space, her yoga studio. Part of what led me to become a fashion historian, was my obsessive love of late 1960s and early 1970s British fashion. Collecting from an early age, I wanted to learn everything about the designers I loved, the long-forgotten stores I read about in old issues of Vogue and Harper’s & Queen, and the models who adorned their pages. The most evocative face of that period belonged to Ingrid Boulting, who is often referred to as the ‘Biba girl’ due to the Biba perfume ads she starred in. With luminous blue wide-set eyes set and a perfect cupid’s bow pout, Ingrid appeared angelic and otherworldly. My interest in Ingrid stemmed first from her beauty, but as I started to research her many years ago a much greater depth began to be revealed to me. A ballerina, a model, an actress, a mother, a yoga teacher, a business owner, a painter, an animal lover, a trauma survivor—Ingrid truly exemplifies the type of person I have sought to talk with in this series—someone who molds and creates the life they desire in the face of ups and downs and veers off the path. Born in Transvaal in South Africa in 1947, she was raised by her grandparents for several years before moving to London to join her mother, step-father and new half-siblings. Her stepfather was Roy Boulting, an English filmmaker known for the satirical movies he made with his twin brother John. A delicate child, Ingrid studied ballet at the Royal Ballet School. At around twelve she was discovered at the school by Queen fashion editor Catherine Milinaire, who chose her to pose for a story on a young ballerina. From ballet Ingrid shifted her focus to studying acting and working for experimental repertory companies. Modeling was a way to make a living and became a constant fallback throughout her life, yet the pretty blonde was never interested in being a model. From London to Paris to New York, Ingrid sought to break into acting yet her looks invited in more immediate opportunities in fashion. A favorite of Richard Avedon, David Bailey and Sarah Moon, Ingrid appeared in Vogue (all international editions), Harper’s Bazaar, Seventeen and many other magazines, as well as many ad campaigns. While collaborating with master photographers enlivened her creatively, overall modeling was unfulfilling to her. Seeking to find greater fulfillment and understanding of her purpose, Ingrid turned in the early 1970s to meditation and yoga—practices she maintained through the ups and downs of the following decades. Though she had filmed several B-movies in the late 1960s and the early 1970s, her acting career was truly launched in 1976 when she was cast as Kathleen in the movie adaptation of F. Scott Fitzgerald’s unfinished novel, The Last Tycoon. Starring Robert DeNiro, The Last Tycoon was directed by Elia Kazan and written for the screen by Harold Pinter. Boulting was chosen over more well-known actresses at the behest of producer Sam Spiegel, and though she had actively sought the role, she found the filming difficult. With the role underdeveloped in the script and Kazan pushing Boulting to keep Kathleen restrained and balanced, in the final film the character appeared to critics to lack any depth. Due to the movie’s failure at the box office, Boulting’s acting career came to a standstill. A soap opera and other projects followed, but she found herself constantly seeking a different kind of life. With her second husband she moved first to upstate New York and then to Taos, New Mexico, before finally settling in Ojai, an hour north of Los Angeles. In the early ‘90s, as a single mother in this small town, Boulting became a yoga teacher before opening her own yoga studio, Sacred Space. She also started to more actively study painting, a love from her childhood that she had never pursued. Today she continues to paint and teach yoga, living a quiet serene life with her many rescue animals. In this interview we speak extensively about the projections that have been placed on her throughout her life. 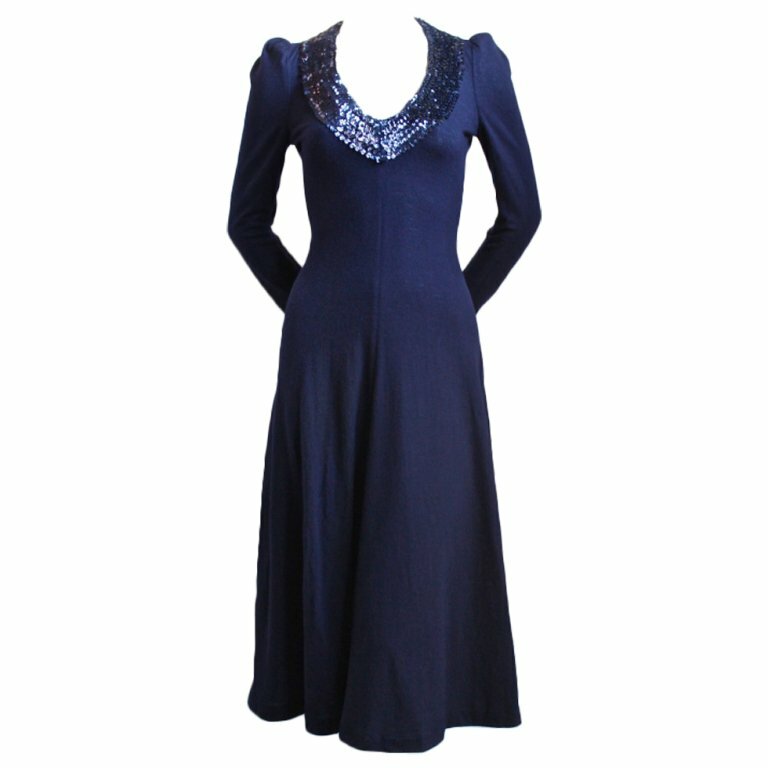 Born beautiful and delicate, Ingrid’s looks garnered attention from a young age. She came to realize that the attention paid, the opportunities offered, were all based solely on her looks and came loaded with other’s expectations and projections of her, which were also based solely on face value. Her soul and personality were completely unseen. For lovers and husbands, she was an illusion—a beautiful face they projected their own fantasies on but never cared to really know her. Already interested in yoga, trauma from abuses by both powerful Hollywood men and lovers led her to start delving into shadow work. Ingrid openly discusses the pain that came from being seen but never seen, and relays some of the books and work that helped her process and work through that trauma. Still an incredibly beautiful woman today, what is most powerful about Ingrid is her quiet strength. She speaks softly but with surety, and has constructed her life exactly as she wants it to be. Her studio is advertised solely by word of mouth and it focuses more on alignment and healing, versus the strenuous workouts often found in yoga studios today. She paints for the love of it and for the fulfillment she gains from it, not to sell. And she lives happily alone in response to decades of dealing with the projections placed on her in relationships by men. The media often portrays beauty as the secret to a happy, uncomplicated life, but for Ingrid beauty brought with it a fair share of pain, which she has to work hard to heal. With this, though, has come a deep inner strength and knowledge of self that emanates from her at all times—a clear aura, an unbending solidity of purpose that she attributes in many ways to her many years of meditation and yoga study. Behind the striking girl in the fashion photographs lies a far more interesting and complex woman. If you are ever in Ojai, please visit Ingrid's yoga studio, Sacred Space Studio.